Since the start of the shale oil boom in 2011 crack spread margins for Midwest refiners have averaged about $23/Bbl. Once written off refineries on the East Coast have averaged $16/Bbl this year so far (2015) and California refiners are currently enjoying average $24/Bbl crack spreads. Refinery utilization at the Gulf Coast has averaged close to 90% for the past 4 years and 92% in the Midwest. Today we review buoyant margins and operating levels at U.S. refineries. In Episode 1 of this series we looked at the crude supply/demand balance for U.S. refiners since 2011 – the year the oil shale boom took off. Since then refiners have increased their crude oil throughput by over 1.5 MMb/d – with most of the resulting refined products output going to the export market. Surging crude production from shale has changed the balance of crude processed in favor of domestic barrels over imports since 2011. That equation is complicated by a quality mismatch between shale crude and refinery configurations – an imbalance that has been exaggerated by the ban on most crude exports. 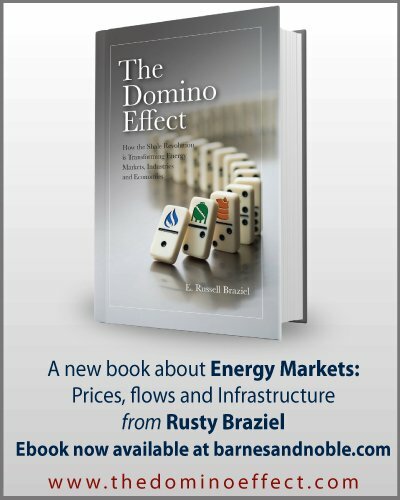 Market inefficiencies – in the distribution system, the quality mismatch and export restrictions have largely kept U.S. crude prices below international levels – helping U.S. refiners dominate product export markets. 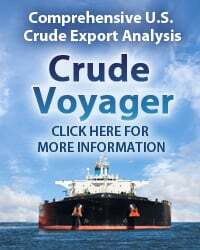 An increase in permitted crude exports to Canada and processed condensate have helped alleviate some crude supply pressure but have not helped overall U.S. prices. Refiners in the U.S. have processed fewer crude imports and exported more refined products – both trends that increased the global crude surplus that lies behind current lower prices. A large crude inventory built up in response to surplus supplies continues to exert downward pressure on prices. This time we take a deeper dive into regional data to look at refining margins as well as operating levels. Our refining margin analysis substitutes “rule of thumb” 3-2-1 crack spreads for more detailed refinery yields. Recall that crack spreads are a way to boil down complex refinery operating processes to provide a basic measure of profitability using benchmark crude and product price ratios (see The Bakken Buck Starts Here – Part IV). We have frequently used the most common crack spread ratio – the 3-2-1 to represent the operation of a refinery outputting twice as much gasoline as diesel (you can see a daily 3-2-1 crack spread in the Spotcheck section of the RBN website – Backstage Pass members can dig deeper into the trends). In the past year we looked at crack spread performance at the Gulf Coast and in the Midwest (see Don’t Stop The Party) and at how cracks have boomed recently as crude inventory levels increased this year (see Fly Me To The Moon). Did you miss our School of Energy in Calgary? Not a Problem! We videoed the whole conference and we have made School of Energy available online – Materials include streaming videos, Powerpoints and spreadsheet models. More information about School of Energy Online here! For today’s analysis we looked at crack spread margins from March 2011 to May 2015 in four U.S. regions. The results are summarized in Table 1. Each column in the table contains annual average $/Bbl 3-2-1 crack spread margins (refined products less crude cost) for a region. First is the East Coast – calculated using international benchmark Brent crude because East Coast refineries are still importing some of their crude supplies although they now receive most supply by rail from North Dakota. The product prices for the East Coast crack are gasoline and diesel from New York harbor. Turning to the second column – the Gulf Coast 3-2-1 crack is based on the local benchmark Light Louisiana Sweet (LLS) crude and product prices ex-Gulf Coast refineries. 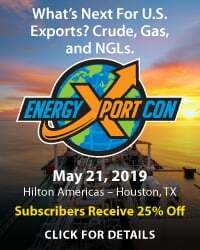 Next comes the West Coast where we use Alaska North Slope (ANS) delivered to Long Beach, CA as the benchmark crude and Los Angeles product prices. 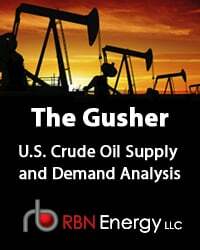 Finally we calculated a Midwest 3-2-1 crack based on West Texas Intermediate (WTI) crude – the U.S. domestic benchmark – delivered to Cushing, OK and the crude price used by the CME NYMEX crude futures contract. Midwest product prices are for Chicago area delivery. To access the remainder of Living With A Material Surge – Part 2 – U.S. 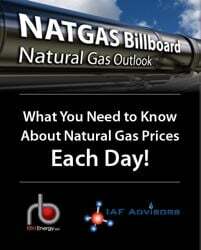 Refining Performance In the Shale Era you must be logged as a RBN Backstage Pass™ subscriber. 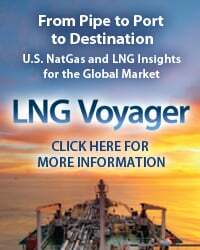 Money for Nothing (I Need My 3-2-1) – Is the US Refining Party Over? 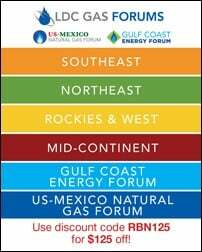 Behind The Margins – Will Lower Gasoline Prices Threaten the Gulf Coast Refining Party?